How do I arrange for an ARISS contact for my local school? If you are a parent, grandparent and/or a ham radio operator, contact your local ham club and talk to your local school or youth group to tell teachers, youth group leaders and school administrators about the ARISS program. Direct teachers to this website where they can read about the program and stories about other schools' contacts with the ISS. Schools must develop a proposal to participate in an ARISS contact that includes an educational plan. Get teachers excited about the educational possibilities of an ARISS contact! More information about hosting an ARISS contact is provided at: www.arrl.org/hosting-an-ariss-contact. The ARISS program can provide an opportunity to introduce Amateur Radio to teachers as a classroom learning tool. As a first step, arrange to bring a shortwave receiver to school and let students eavesdrop on Amateur Radio or arrange a demonstration of satellite communications via Amateur Radio. Learn from the experiences of others who have successfully introduced Amateur Radio to their local schools and apply their strategies to form relationships with teachers and administrators. What is the difference between a direct contact and a telebridge contact? One of the goals of this program is to involve students with amateur radio. A direct contact will give your students an opportunity to speak via amateur radio and learn how the radio system works. If your school has an amateur radio station that you plan to use for a direct contact, then the station must meet certain technical requirements that are outlined in the current Ground Station Recommendations. If you are unable to support a direct contact then a telebridge can also be a rewarding experience for students and faculty. The ARISS team will help the school set up the telebridge contact and give your students an opportunity to speak via amateur radio and learn how amateur radio works. What modes are available for communicating with the ISS? Hams may communicate with the crew using Amateur Radio voice mode, packet (computer) radio mode, or slow scan television mode. It all depends on what equipment the crew is using in space. When the astronauts are too busy with their science activities to get on the air to talk, a 2-meter packet radio is sometimes operating in unattended mode for hams to make contact with the orbiting the ISS. What are the chances of making an unscheduled contact with the ISS? The work schedules of the crew dictate when they can operate the radios. Licensed astronauts make contacts during their breaks, pre-sleep time and before and after mealtimes. Astronauts have contacted thousands of hams in all parts of the world. You may be lucky enough to garner one of these radio contacts! The crew especially enjoys getting on the air for Field Day, School Club Roundup, and JOTA. Also, ARISS computer software allows the crew to operate the 2-meter packet gear radio in unattended mode. Hams can make a contact with the ISS when crewmembers are working on scientific research. Once a school contact is completed, sometimes a crew member will make a few random QSOs, and then set the radio back to packet mode. The ARISS Working Group recognizes the long-standing commitment of the ham radio community in supporting ARISS, and asks the crew to do as many general ham contacts as possible. If you are a school teacher interested in a direct ISS contact, keep in mind the ISS has a shallow or low orbit. This means the ISS is not in a great location for a "casual contact." For a typical 180 day school year, the ISS will orbit approximately 112 times. Depending on when you plan to introduce "space" in your curriulum; fall, spring; morning or afternoon, the chances could decrease to a few dozen opportunities. If you are unable to schedule an ISS contact, there are other avenues to a successful "space-related" experience for you to explore: weather satellites and space-borne signals (natural space noise) may be just for you. What kind of ground station do we need? A typical ground station includes a 2-meter FM transceiver and 25-100 watts of output power. A circularly polarized crossed-Yagi antenna capable of being pointed in both azimuth (N-S-E-W) and elevation (degrees above the horizon) is desirable. But successful contacts have even been made with verticals and ground plane antennas. A preamplifier is greatly beneficial to a successful contact. Commercial and public domain software is available to help track when a shuttle or ISS will be in range of your station, and where to point your antenna. Please note: The recommendations for the ground station to support a scheduled ARISS school contact are considerably more robust than needed for a casual contact. Because the scheduled contact is one-time event involving a large audience every effort is taken to configure a ground station that will offer the maximum communications window possible within the constraints of orbital mechanics and line of sight considerations, and to provide redundancy in the event of unexpected equipment failure. If you are considering supporting an ARISS scheduled contact please review current Ground Station Recommendations. For more information on assembling a station for satellite contacts, read this QST article by Steve Ford, WB8IMY and the information on satellite operations on our website. What software is available for tracking the ISS? Software is available for tracking spacecraft. AMSAT provides a catalog of available tools available for purchase as well as a collection of free software for download. Spacecraft-tracking software uses "Keps" or Keplerian elements (also known as "orbital" or "tracking" elements) to pinpoint the location of a spacecraft. Keps provide the software with a spacecraft's orbital track, which the computer uses to calculate its location. Using a tracking program tells an observer when a spacecraft will appear above his or her horizon. AMSAT publishes bulletins including Keps in various formats. 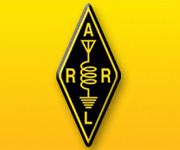 ARRL distributes keps via email in the ARRL Letter. Can I re-transmit communications on the ham frequencies? 3) NASA audio contains crew "wake-up music." Amateurs should avoid, if at all possible, retransmitting music or other prohibited transmissions listed by the FCC rules (Part 97.113). What frequencies are used for ISS contacts? The following VHF frequencies are used for contacts with the ISS. These frequencies were chosen after much negotiation to minimize problems between ARISS and other 2-meter users. The ARISS worldwide team appreciates the cooperation of all amateurs in making ARISS a successful program. Most contacts with the ISS operations are split-frequency (using separate receive and transmit frequencies). Please do not transmit on the ISS downlink frequency -- the downlink is your receiving frequency. The uplink is your transmitting frequency. Earth stations should listen to the downlink frequency and transmit on the uplink frequency only when the ISS is in range and ISS crewmembers are on the air. For instructions and advice on the ARISS packet system, contact AMSAT-NA at: (301) 5889-6062, or email martha@amsat.org. QSL cards are similar to postcards. Hams exchange QSLs to confirm their radio contacts with other stations. Making a contact with the ISS is an exhilarating experience. But waiting for that coveted QSL card requires patience. Send your QSL cards or report including date, time in UTC, frequency and mode (voice, packet or sstv) to one of the following addresses. If you wish to receive a card, you must include a large, self-addressed, stamped envelope with proper postage. DO NOT send cash or IRC coupons. Find instructions for QSL cards for other countries on the ARISS.org website. What call signs are used on the ISS? Call signs you may hear transmitted from the amateur radio stations onboard the ISS are NA1SS, OR4ISS, RS0ISS, RZ3DZR, and DL0ISS. Which astronauats have ham call signs? The ARISS website provides information about crew call signs. How long is an ARISS contact? Scheduled ARISS radio contacts give the school or youth group a 95% chance at a successful contact. Ten or more students will have an opportunity to interview the ISS crew with questions during the 10-minute window of an ISS orbital pass. :Hundreds more may participate in the experience when held in a public forum. If you have additional questions you, contact your regional ARISS representative. For the US, email ARRL at ariss@arrl.org. How can I volunteer to support the ARISS program? We invite individuals and clubs to consider offering their expertise for school outreach through this program. Please review the volunteer opportunities and qualifications needed. Amateur Radio operators, or "hams," are people from all walks of life--no matter your age, gender or physical ability. Getting started in Amateur Radio has never been easier! The ISS will have two ARISS stations soon. Antennas have been built, tested , certified and installed on the new Columbus module. During 2010 the crew is expected to install a UHF radio.